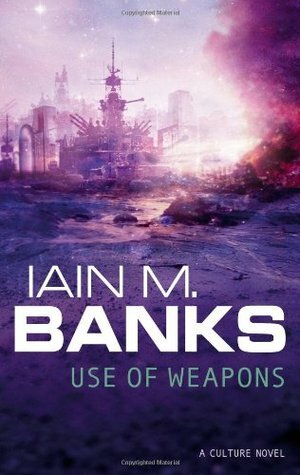 This book, guys! It is so awesome I feel totally unequal to writing a review that would give it credit. But I'll try. 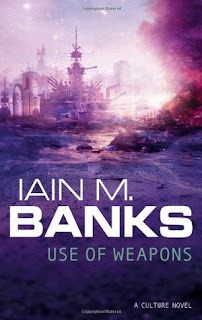 It is my first Iain M. Banks novel, and I already know that I will read all of his books! Because wow! Anyway, as direct interference would not be subtle, Culture has special agents (and if you immediately think James Bond, you're not too far off :)), who infiltrate the planet in question and solve the problem. They are genius commanders and diplomats, trained in all possible arts of war, and besides they can live almost forever, their employer being able to resurrected them after any accidents... Zakalwe is one of them, and some say he's the best of them. He is also a very troubled man, and the reader needs to dig deep into his past to understand who he really is... only to have the last pages turn all your notions upside down in the most wonderfully brutal way. The plot unravels in two directions: to the past and to the future. As we see more of Zakalwe's present actions, we also learn more about his past that brought him to this point in his life, and understand him better. Hopping between the past and present can be a bit confusing in the beginning, but when you get used to it, you cannot bear to stop reading. And I had an urge to re-read the whole thing immediately after I finished, to appreciate and admire again the complex architecture of the novel, in which every little thing matters and adds to the picture.